At DSS, safety is not just a program; it is part of our culture and the culture of our parent company American Fire Protection Group. A leader in workplace safety, we realize that even the highest quality security systems and service mean nothing without a safe working environment. That is why all of our companies follow a strict set of safety standards, focusing on job site, vehicle and product safety. 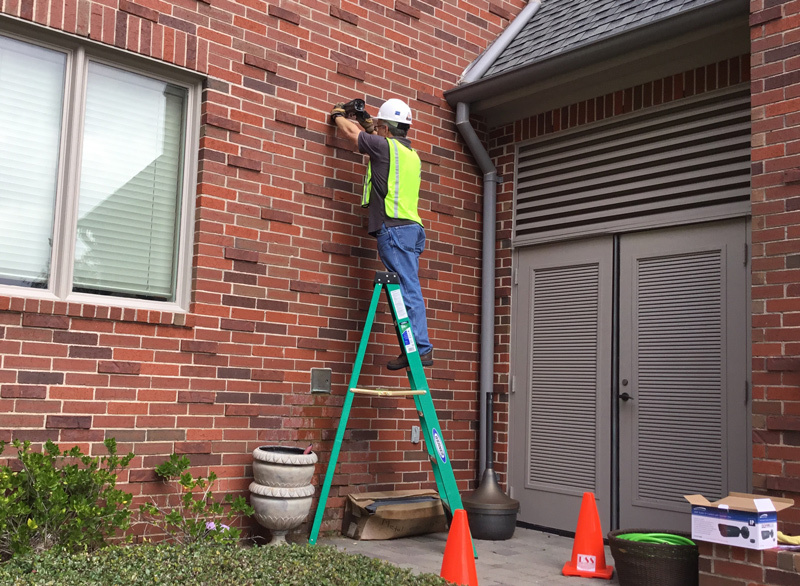 When you work with DSS, you can rest easy knowing your project – and your company – are in the hands of a reliable, efficient and safe crew. We are committed to providing a safe and healthy work environment that focuses on continual improvement and injury elimination while complying with all relevant regulatory requirements. We believe that all injuries and occupational illnesses can be prevented, and we will strive to implement a safety and health management program that will allow us to accomplish this. Safety is a mindset and an attitude for everyone. All of our technicians are OSHA10 (minimum) certified. Safety is not just a priority at DSS….it is a core value. Our goal is to have zero injuries, zero incidences, zero losses. Our purpose mirrors that of the American Fire Protection Group, our parent company. Building a safer environment. Get the security and peace of mind of having an industry leading working for your – contact our team today.